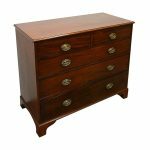 Circa 1790, exhibition quality pair of George III mahogany and inlaid chest of drawers. 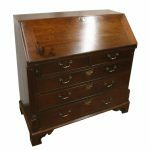 With well figured tops with moulded edges, and a configuration of 2 short drawers over 3 full length drawers, each retaining their original cast brass knob handle. 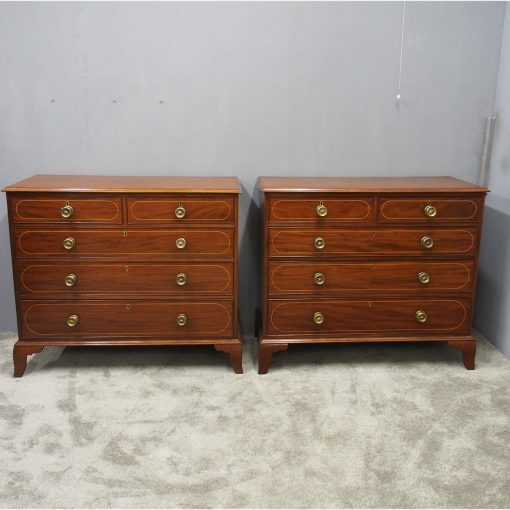 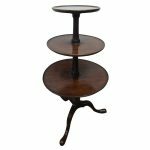 Each drawer has a simple string inlay, and it all stands on tall French style bracket feet.